I made another one of the recipes on my 50 for 2014 list the other night. 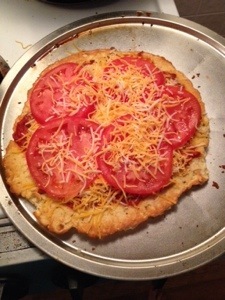 This one I found on Pinterest, but it’s from another WordPress blogger, Enjoying Healthy Foods. 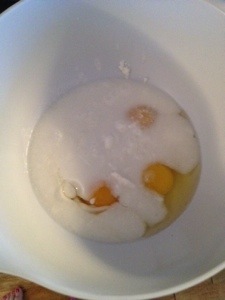 The blogger, Lindsay, is a wife and mother and a lover of food. Her blog shares her experiences with food, the good, the bad and the flops! 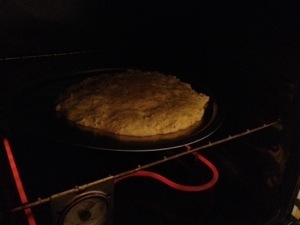 You can find the recipe for coconut flour pizza crust here on her site. 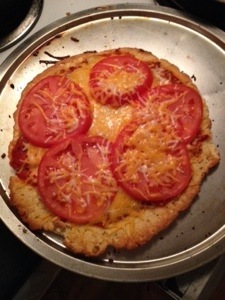 Here are some pictures from my pizza making adventure. 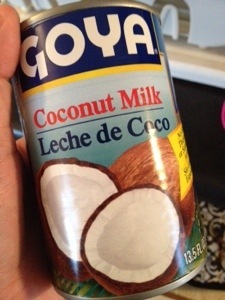 I used canned coconut milk, instead of the carton kind. They’re very different in how they mix and cook. While it doesn’t completely replace pizza, this is a great alternative that I recommend to anyone who likes to play with healthy alternatives.